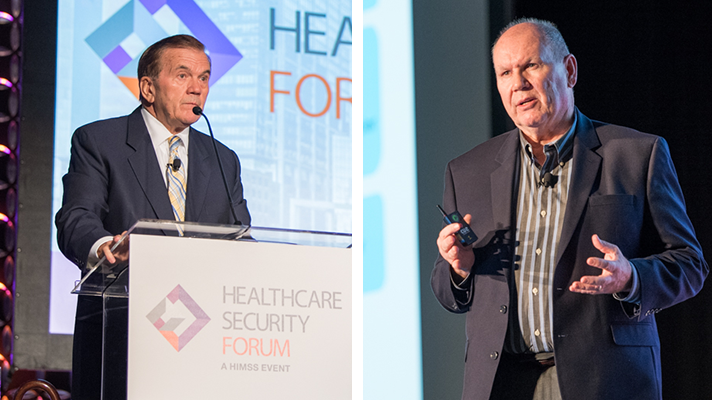 Cyberintelligence experts, prominent infosec pros and an HHS official all agree – health org’s need to share information security information now. BOSTON — The time has come for hospitals and health systems to participate in information sharing of some sort, if not the National Healthcare ISAC. That is an overwhelming sentiment shared by several speakers at the Healthcare Security Forum here. One irrefutable reason? Former Secretary of Homeland Security Tom Ridge said that one of the most important things America has done since the September 11, 2001, terrorist attacks is to encourage participations in information sharing and analysis centers and he pointed to financial services, which has 9,000 members, as a success story. Participants have access to the federal government’s information about malware, digital incursions and other security events. Phil Alexander, information security officer at UMC Health System, said that hospitals need a button they can push to get threat intelligence. UMC, for its part, joins forces with the NIST working group and associations in Texas to, among other things, help rural agencies get what they need. Alexander added that it’s not just the ISAC and the NIST framework; other options for security guidance and information sharing include HITRUST, FBI and other listservs, Infragard. “If you’re not grabbing intelligence about our industry then you’re missing out,” Alexander said. John Houston, vice president of security and associate counsel at UPMC said hospitals must have a framework. “Whether it's HITRUST or NIST – it’s the discipline to execute on a strategy,” Houston said. “The tools help you be compliant, just don’t confuse compliance with security. What’s more, since the Cybersecurity Information Sharing Act of 2015, the U.S. Department of Health and Human Services built the Health Cybersecurity and Communications Integration Center and aligned with other federal agencies. HHS CISO Christopher Wlaschin said that the HCCIC can help get the word out about cyber threat indicators.